Watch carefully for motorcycles as they’re harder to see at dusk, at night, in heavy traffic and bad weather. Look twice for motorcycles at intersections and be ready to yield the right-of-way when turning left. Give lots of space when passing a motorcycle and allow at least three seconds following distance when you’re behind a motorcycle. Make eye contact whenever possible to let motorcyclists know that you’ve seen them. Protect yourself from serious injury by always wearing safety gear designed for riding and a helmet that meets DOT, Snell M2005, M2010, M2015 or ECE safety standards. Choose gear that gives you the best chance of being seen—bright colours and reflective materials. Do your best to stay out of drivers’ blind spots. Prior to reaching a curve, plan your path through it. Reduce your speed and adjust your lane position. Always look in the direction you want to go. Read other drivers’ language—never assume they’ve seen you or will give you the right of way. They may not accurately judge your distance or speed of approach. When approaching an intersection, adjust your lane position and reduce your speed so you’ll have time to stop if you need to. In the Lower Mainland, on average, 180 motorcyclists are injured and three are killed in crashes in July and August every year. On Vancouver Island, on average, 70 motorcyclists are injured and two are killed in crashes in July and August every year. In the Southern Interior, on average, 80 motorcyclists are injured and six are killed in crashes in July and August every year. In the North Central region, on average, 20 motorcyclists are injured and three are killed in crashes in July and August every year. On average, 350 motorcyclists are injured and 13 are killed in car crashes in July and August every year in B.C. 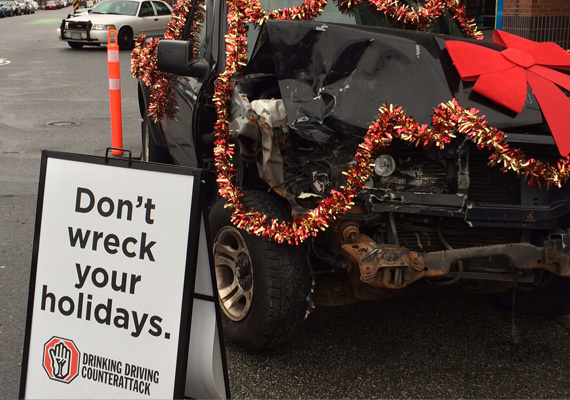 Be the first to comment on "ICBC – In Summer, 6 Bikers Hurt Every Day"